White, large and fleshy ribs make a big head. Vigorous, erect plant. 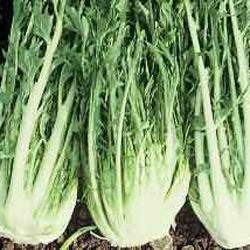 Puntarelle are erect instead of pine cone shape. Sowing from august for autumn-winter harvesting.